Monica Porter joined Disability Rights Advocates in 2016 as an Equal Justice Works Fellowship Attorney, sponsored by Ebb Point Foundation, focusing on the rights of California higher education students with psychiatric disabilities. In 2018, she became a staff attorney. Ms. Porter received her J.D. with honors from The George Washington University in 2016, and her B.A. with honors from UC Berkeley in 2009. During law school, she interned with the Disability Rights Section of the Department of Justice, Legal Barriers to Employment Project at Bay Area Legal Aid, and the Disability Rights Program of the Legal Aid Society – Employment Law Center. 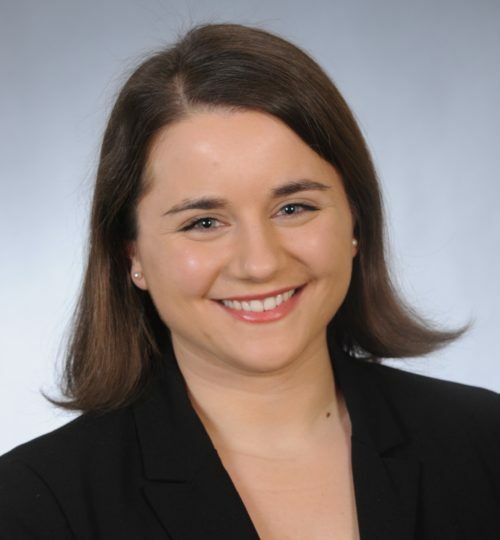 She also clerked for the Honorable Cynthia McKnight at the Equal Employment Opportunity Commission and worked as a Student-Attorney with GW Law’s Public Justice Advocacy Clinic, for which she was awarded GW Law’s Community Legal Clinics Volunteer Service Award.